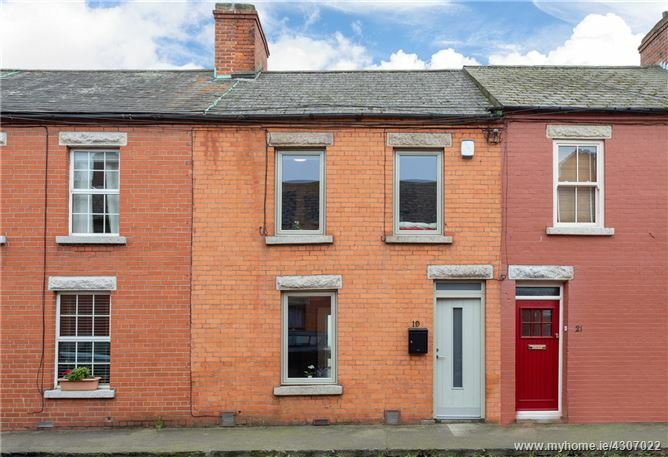 Behind the attractive façade of this superb period property is a home of considerable style, located in this convenient and quiet cul-de-sac position just off Pigeon House Road and beside Ringsend Park giving an almost countrylike feeling. The property has also been refurbished with great flair and attention to detail and enjoys a wonderful homely atmosphere throughout with the addition of a two storey extension to the rear adding to the overall size of the house. The accommodation briefly comprises of entrance hallway, large living room which was originally two reception rooms and a well-appointed kitchen / dining room with patio door leading to the landscaped private patio garden with large storage / utility shed. Upstairs, there are three bedrooms and a bright family bathroom. The convenience of the location cannot be overstated. Situated within a short walk of Sandymount Strand and with easy access to the City Centre and a host of local shops and amenities including the Aviva Stadium, Google HQ, Grand Canal Theatre and Grand Canal Dock. The property benefits from being within close proximity to Dublin's principal places of business including Ballsbridge, Merrion Square, Fitzwilliam Square and the IFSC. The LUAS red line is a short walk across the River Liffey, not to mention the East Link toll bridge giving easy access to the north side of the city and airport. Entrance Hall with timber floor and alarm panel. Living Room originally two reception rooms with timber floor, cast iron fireplace with tiled inset and recessed alcove shelving. Kitchen / Dining Room with a range of wall and floor units, integrated dishwasher, integrated fridge/freezer, electric double oven, 5 ring gas hob, extractor fan, silestone work surfaces, under counter lights, recessed lights and access to generous under stairs storage. Sliding patio door to the garden. Bedroom 1 double room with Robeplan built in wardrobes and two windows to the rear. Bedroom 2 double room with timber shelving. Bedroom 3 currently in use as a study with Robeplan built in wardrobes. Bathroom nicely appointed with bath, rainwater shower head, large wash hand basin in vanity cabinet, wc, Velux roof light, heated towel rail, large storage press, tiled floor and partial wall tiling.